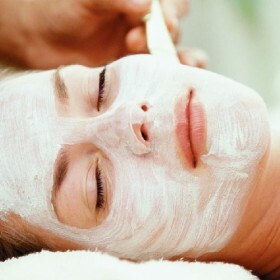 The team at Beauty Box are always on the look-out for new beauty treatments to expand our salon’s services. We are continually adding other treatments to our list so that our customers can experience all kinds of luxury beauty treatments from the very heart of Saffron Walden. We have beauty technicians who are qualified to carry out ear piercing services in Saffron Walden. To have your ears pierced seems to be a natural part of growing up as a young lady and it can be another great way to adorn our already beautiful selves. There’s nothing quite like a gorgeous pair of earrings to finish your look off, whether it is a simple pair of studs or an elaborate pair of droplets. Beauty Box implements rigorous hygiene standards and only use experienced and qualified staff members to carry out the ear piercing process. Beauty Box has also recently introduced Hopi Ear Candling to its portfolio. This is a non-invasive beauty treatment and can be used to improve and prevent common ear, nose and throat conditions. The Hopi method has been used for centuries and has even been dated back to Ancient Greeks, who used the procedure for spiritual and cleansing purposes. Hopi Ear Candling is also known as Thermal Auricular Therapy and has many calming benefits by gently massaging and stimulating the ear. The hollow candles are placed into the ear canal and then lit. The vapour that is created gently draws out impurities and deposits. To book one of our beauty treatments in Saffron Walden, please drop into the salon or get in touch by calling 01799 516212. One of our friendly staff members will be able to help you with anything you need. A non-invasive treatment which helps alleviate a range of conditions associated with the nose and ears.